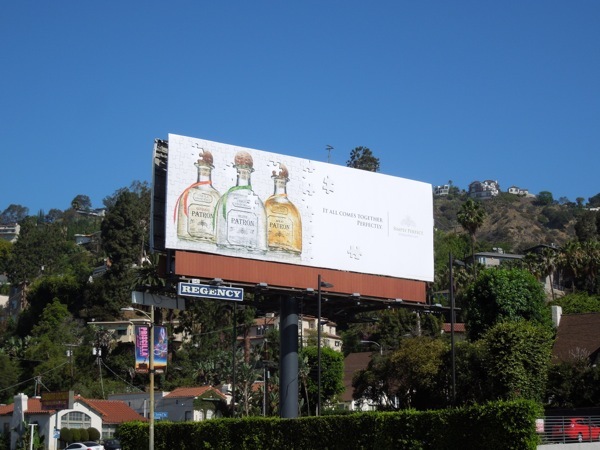 Patrón Tequila seems to have monopolised this high-profile ad site along Sunset Boulevard for over five years, at least since Daily Billboard has been in L.A., so it's nice to see when they change or rotate the creatives regularly to keep things interesting. 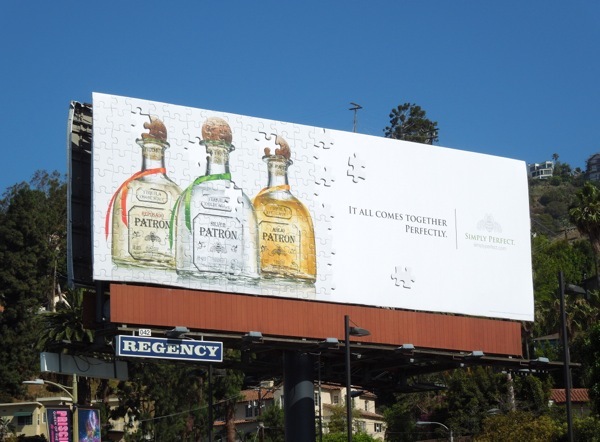 This jigsaw puzzle creative certainly does all come together perfectly and really makes you look close to see if those puzzle pieces are stuck on to the billboard or not. 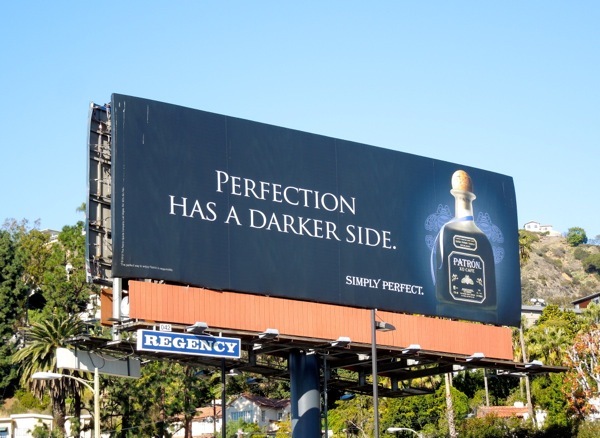 It also reinforces the premium tequila brand's desire for customers to share their drink together. 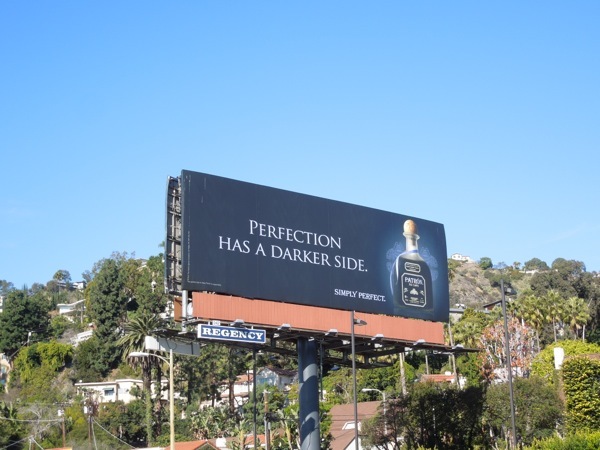 This lighter creative replaces the darker ad for Patrón's XO Cafe coffee liqueur product line and makes for a refreshing change. 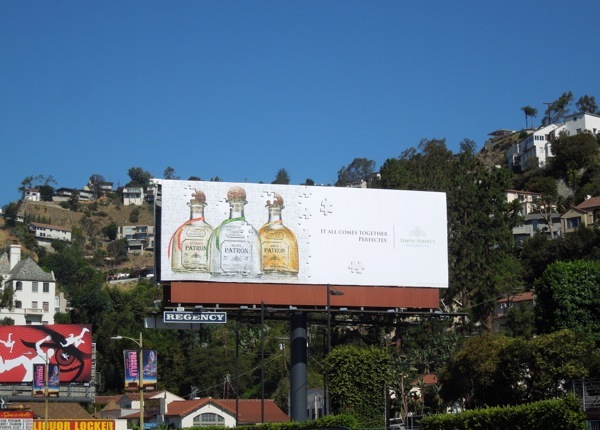 This new jigsaw ad for Patrón's trio of Silver, Reposado and Añejo tequilas was snapped on July 8, whilst the darker version was photographed at the start of the year on January 12, 2013. 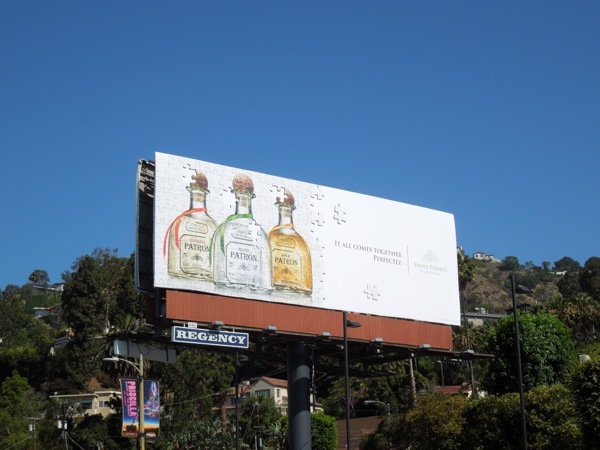 If you're a fan of the liquor, be sure to check out these advertising campaigns for other tequila brands. And as it's the weekend, be sure to relax with the perfect margarita, or two.